We had a great time with the SYC Tri Island series and will be sure to do it again next year. We learned more with each race and made some hilarious blunders that we get to laugh about for many seasons. It was great to bring some new people on board and we enjoyed their company and learned from them as well. Every race someone got to drive, something I wanted to make happen regardless the results. I think we’re seeing what works and what doesn’t and there is no better way to find out except by doing. 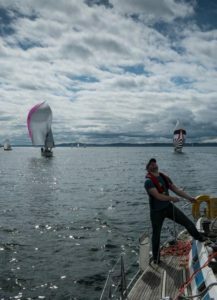 I have no idea why more people don’t try racing as a way to enjoy sailing. Done right it can be a lot of fun. A couple of pictures to prove we had fun on race #3. 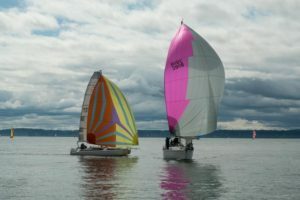 Practice session between races landed on opening day here in Seattle. Surprisingly few boats out on a really nice day. The Seattle fire boat was putting on a show at the Meadow Point buoy where we wanted to do some practice starts so we sailed up to Richmond Beach. The whole crew took turns at the helm learning what it is like to time a start line. We also spent time getting everyone more familiar with the chart plotter so we all know where we are and where we’re going. The run back home was a good chance to get the A3 out of the bag. Only took a few gybes and we were done. Nice to see the sun again. 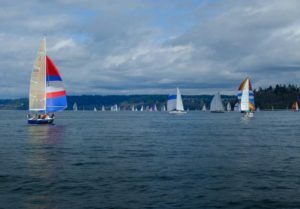 A new race series for the Kinetics crew this year is the Seattle Yacht Club’s Tri Island Regatta. 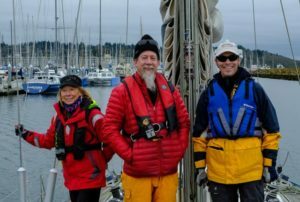 First up was the Protection Island event which, for the long course boats, is from Seattle out into the Strait of Juan de Fuca to Protection Island and back. 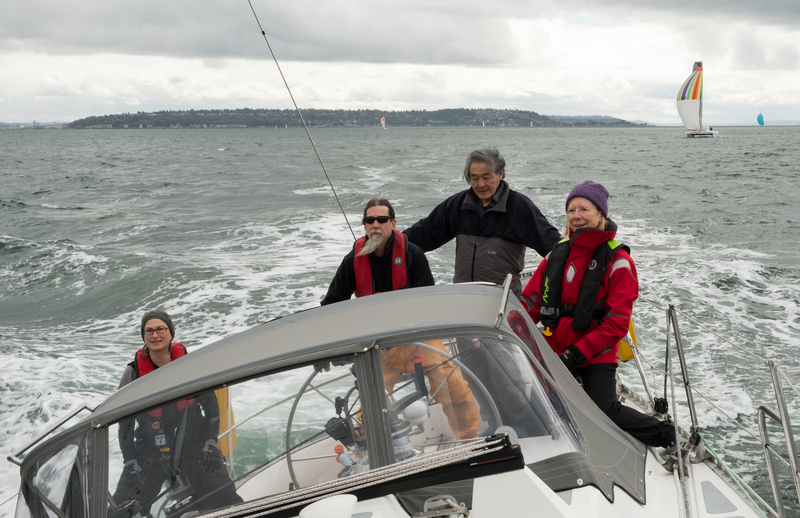 We opted for the short course which is to Double Bluff (a point on Widbey Island) and back. The weather was decent and we had nice breeze all day. We sailed the boat well and had a great time. Unfortunately one big navigational error killed our chances for what probably would have been a respectable finish. 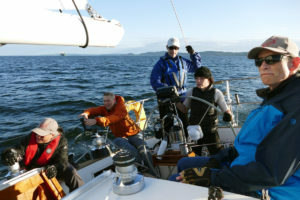 On the plus side, everyone learned from the experience and I think that is a big part of why we sail. It is nice to see your efforts validated in the results but there is a lot more to racing than how you finish (learning that makes doing this so much more fun and rewarding). Here are a few pics from the day. Next up is Vashon Island where we will learn some more stuff. We decided to all go out on Tranquillite, a Swan 46, owned by a friend here in Seattle. 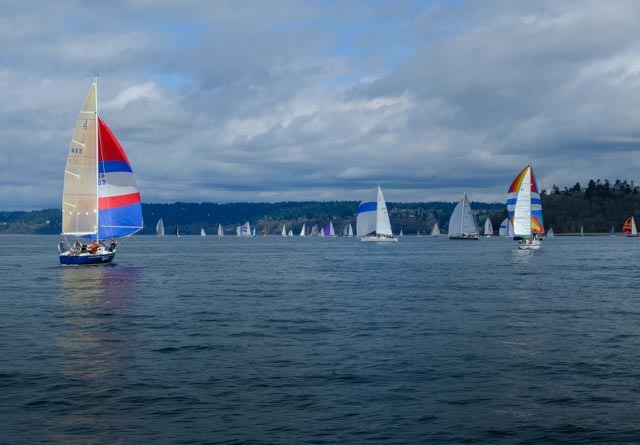 Another nice day for racing with what was likely over 100 boats starting in over a dozen classes. STYC does their usual awesome job getting off over a dozen starts on time. 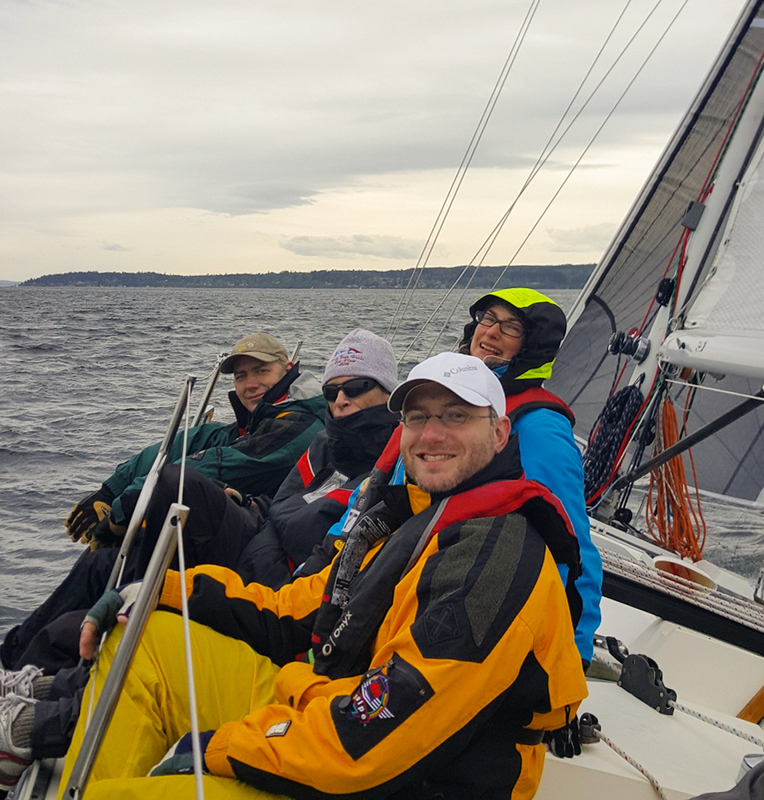 We had decent breeze round the course from Shilshole over to Blakely Rock and most of the way back but it shut down as forecast right at 2pm. Down came the .75oz kite and up went the drifter which allowed us to drift our way around Meadow Point buoy and on to the finish. 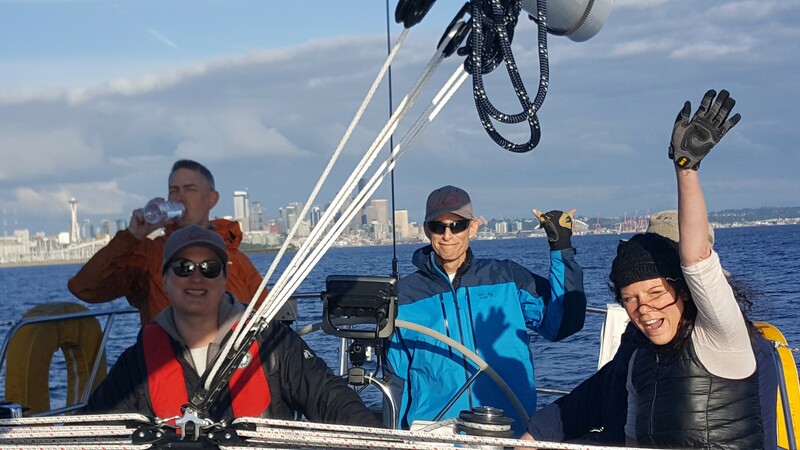 As the scratch boat in our class I don’t think we passed anyone so the day was all about sailing with friends, helping to raise money for the Sailing Foundation, a great organization, and enjoying just being out on the water. Here are a few pics from the race. Next up for Kinetics is the Tri Island series with SYC. At last a fine day for a race! Wind, no rain, we weren’t last and didn’t hit anyone. And we had fun. Success on the whole. We will ignore the part where I screwed up and started 5 minutes late. On the plus side we caught most of the people in our class and made up the 5 minutes. If only we had started on time. 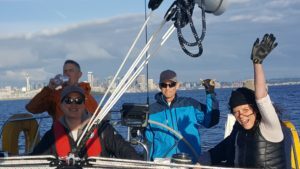 Because we were so late to the start line we ended up having to try to barge at the boat end and got peeled off big time with the Express re-Quest. That was exciting. Regroup, trim, keep going. Here are some photos from the race. 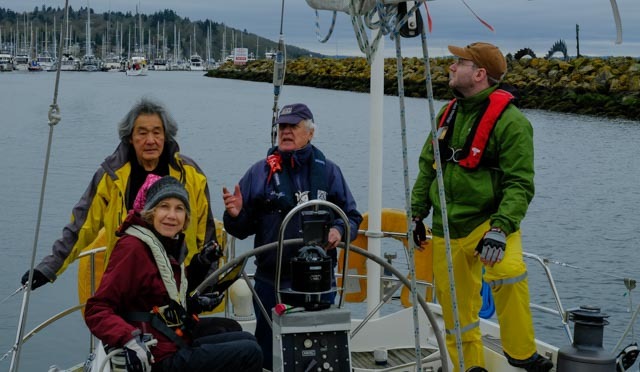 Next week we will sail on Tranquilite unless the weather is bad in which case we will take Kinetics out for the STYC Blakely Rock Benefit benefiting The Sailing Foundation. Thanks to my new club the CYC for putting on the Center Sound Series. That catamaran made up some time downwind! Adding a nice photo from Jan’s Marine Photography from the start sequence wind up. Looks like about 30 seconds before we got scraped off for barging! If only we had started on time. Practice, practice and practice some more. It was incredibly nice today. Maybe it just seemed awesome after record rains stopped long enough to let the sun shine all day long. 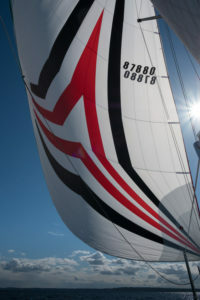 Finally was able to hoist the new Ballard Sails drifter to see how it looks. Should be a game changer for us on those light air days when we have trouble getting the big Nordic moving. I wouldn’t say Scatchet Head was my favorite race based on the first two attempts. This second time around it rained. Of course it did. We’re having the wettest, coldest winter in decades here the PNW. 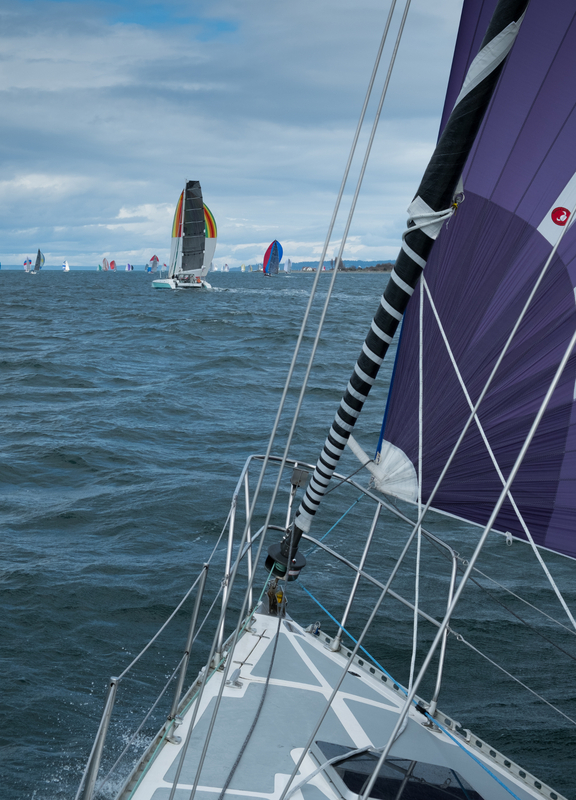 Other than the rain, and a confusing start, the downwind run to Widbey was uneventful. We kept pace, meaning we sailed to our rating or better. The last couple of miles not so much, which was entirely on me. We should have gybed west to stay in the wind like most everyone else had done. 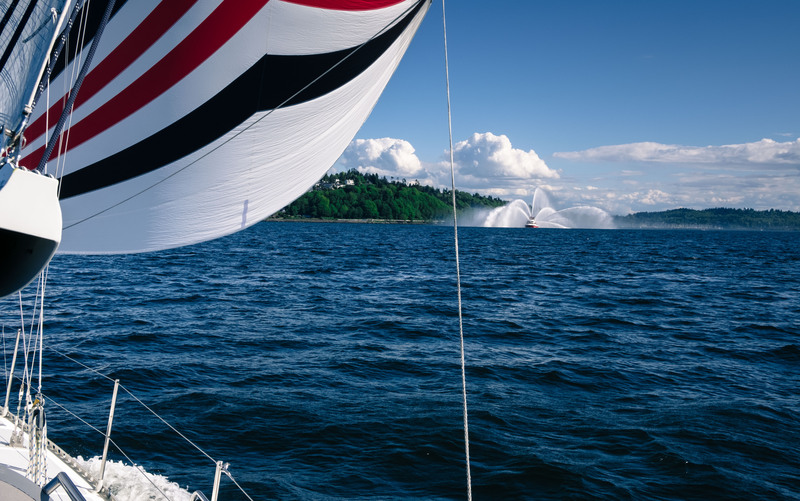 Our inside drop of the kite went well and we elected to keep the #1 up for the return trip to Shilshole. However, the wind speed kept building and building until we were well into the 20’s, gusting to 30, and risking the health of the #1. 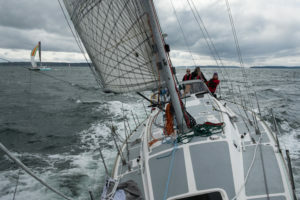 Being a bit light on crew we had trouble furling and decided to duck into Kingston to try and get it rolled up. Unfortunately things did not go well and we ended up not being able to complete the task. 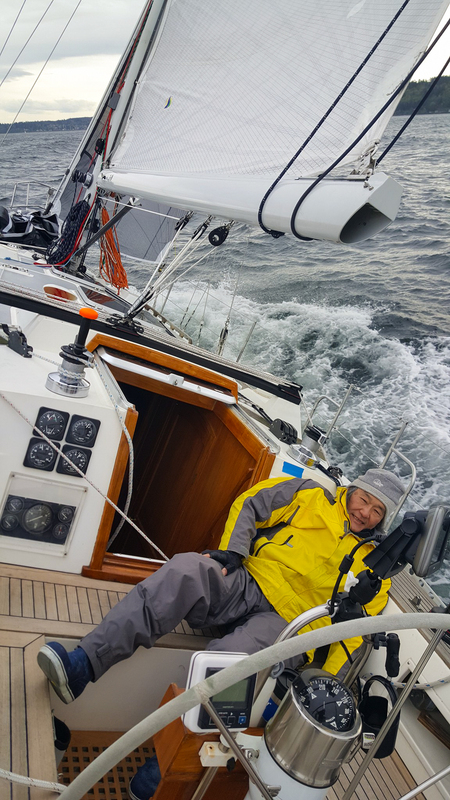 With the rain and the wind, and our growing realization of being dead last in class, we decided to tuck in under the dodger and sail home on the main. Next race we will be ready with all the “first race of the season” problems sorted out. At least we didn’t break anything this year! That’s an improvement over last year. UPDATE: Sorry to say the email settings for the site were messed up and many who might have tried to get in contact may not have been able to. I’ve added a contact page so people can email about any interest in crew opps. It should also solve the spam problems. We are looking to introduce new members to our group of regular crew. 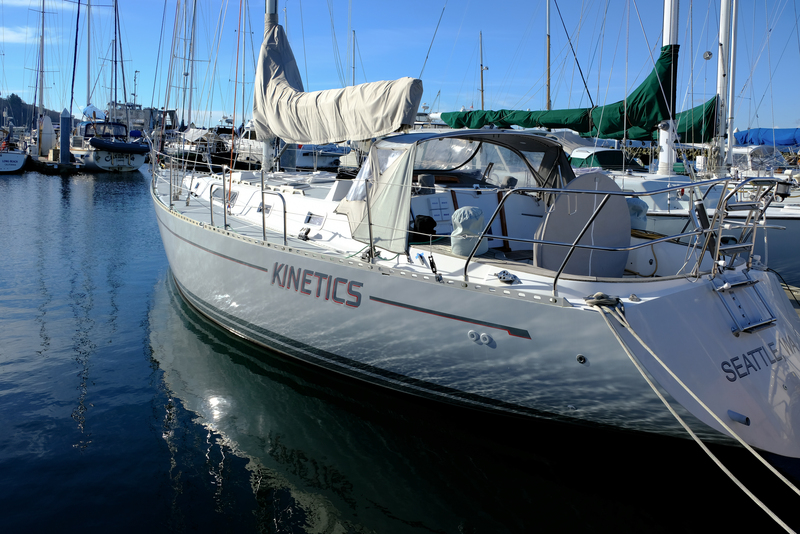 The Kinetics crew has been evolving over the past few years and is going through a transition. 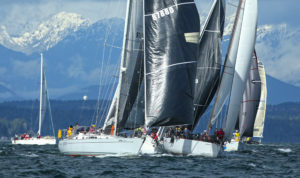 The focus continues to be on distance racing where the boat is most suitable. Kinetics provides a strong, reliable, even comfortable way to enjoy the sport (we have heat and two heads!). We take the racing seriously while keeping the real goal for being out on the water in mind. Enjoying the experience is a key part of that and team harmony is very important. If you are new or experienced and are looking for serious but fun sailing team that will be racing in most of the key races of every year register here and post a comment or ping the admin for details on what the plans are for the coming couple of years. The ground hog says…never trusted that method. Snow it is. Let’s hope sailing remains a place to focus on the good things in life. I know I need a place like that. Getting more and more projects done for this year. The plan is to do more cruising in between the racing. This image was taken in January and it looks so inviting. You can’t tell it is about 34 degrees. 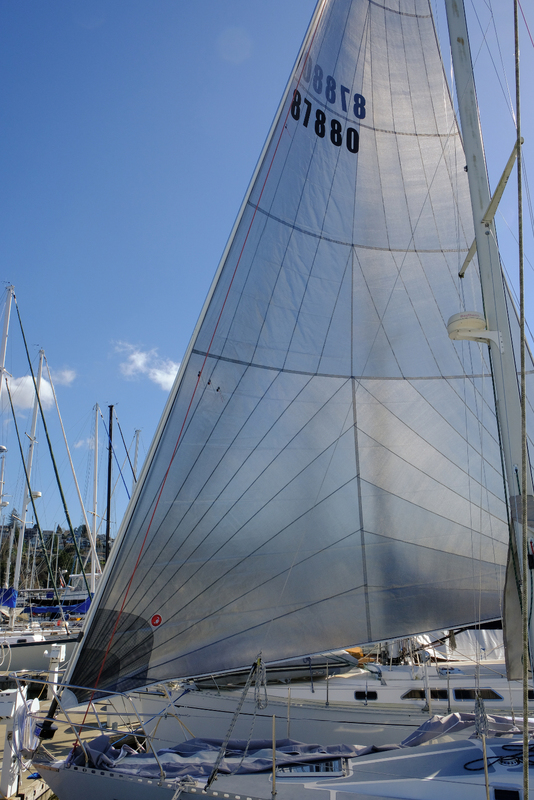 Won’t be long before the new dodger is ready, a new drifter arrives and the bottom paint is refreshed. 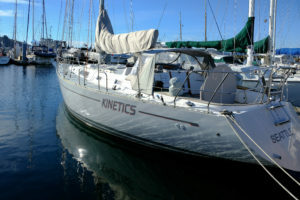 March is the official start of the sailing season for Kinetics. 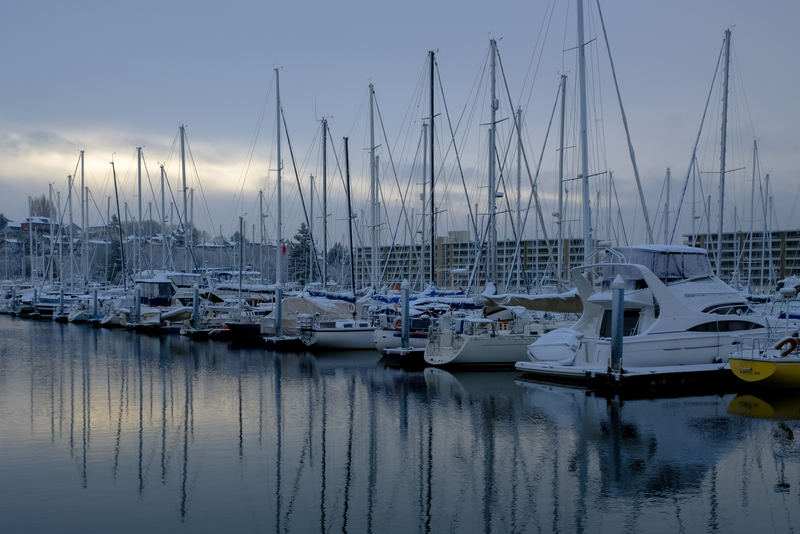 Did the Seattle Boat Show of course. My visits the past couple years are very focused. I make a direct course for the vendors I need to see. The show felt like a near duplicate of last year though. Garmin had a new chart plotter with dedicated physical controls. 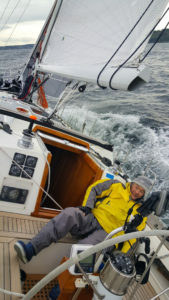 After using a hybrid Raymarine unit for a while I’m thinking touch screen is not all that useful in the cockpit of a sailboat under difficult conditions. Down below they are fine but in cold, wet, pitching seas kind of weather, they don’t really work very well. At least not for me. 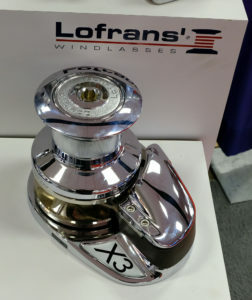 I’m starting to think about needing a new anchor windlass. The one I have works but is wearing out and a poor fit for the boat. This one looked like a better solution but I couldn’t get anyone to talk to me. They were more interested in selling someone lights. I wasn’t buying anyway. 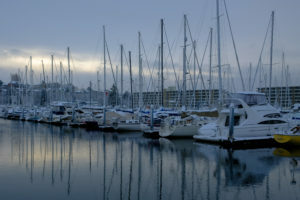 I spent some of my boat show time looking at new boats. I think boat designers and builders are getting smarter in some designs. I saw quite a few nice features that actually contributed to efficiency, safety or performance. It might have just been my choice in boats but it was nice to see these things happening. 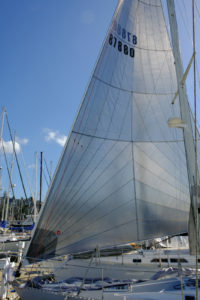 I loved hanging around on the Farr 60 Pilothouse that Swiftsure Yachts had at the dock. It was fun to hear everyone coming on board say “wow”. Way too much boat for most people but for world cruising, if you can afford the upkeep, it would be a fine way to go.